Adhering to a familiar seasonal pattern, demand for interior design services softened somewhat in late summer, then picked up in the last two months. Designers are reporting an increase in projects and new inquiries, with an average project backlog of around five weeks. Growth is expected to taper off slightly, but remain positive, toward the end of the year. According to the latest Houzz Renovation Barometer, architectural and design services reported an uptick in business during the third quarter compared to the previous quarter. The Recent Business Activity indicator gained 3 points overall. New project activity rose by 4 points, to 58, and new inquiries were up 3 points, to 62. The Backlog Indicator declined slightly, by half a point, to 5.1 weeks, consistent with the same period last year. These findings correlate with the most recent Interior Design Billings Index (IDBI) reports from the American Society of Interior Designers. After sliding 6 points in June, followed by an unexpected spike of 12.4 points in July — lifting the index to its highest level (58.3) since March of this year — the index readjusted in August to a lower but still healthy 53.1. Similarly, as indicated in the American Institute of Architects’ Architecture Billings Index (ABI), the pace of A&D activity slowed in June (51.3) and again in July (50.7), but rebounded by nearly 4 points in August, to 54.2, its second highest level of the year. The ABI has been in positive, growth territory since October of last year. Requests for new design contracts experienced a modest decline in August, the first in almost two years. However, that may be a temporary glitch, as construction numbers on the whole have remained quite solid. Looking ahead to the end of the year, architects and designers participating in the Houzz Barometer expected a moderate drop in new projects and project inquiries in the fourth quarter. The Expected Business Activity Indicator for the fourth quarter decreased 5 points overall (to 64), compared with that of the third quarter. Expectations for new projects were down 4 points (to 65), and expectations for new project inquiries fell 5 points (to 63). Although somewhat lower than the third quarter, these indicators reflect a typical seasonal pattern of easing off at the end of the year, while pointing to a strong confidence in continued positive growth. 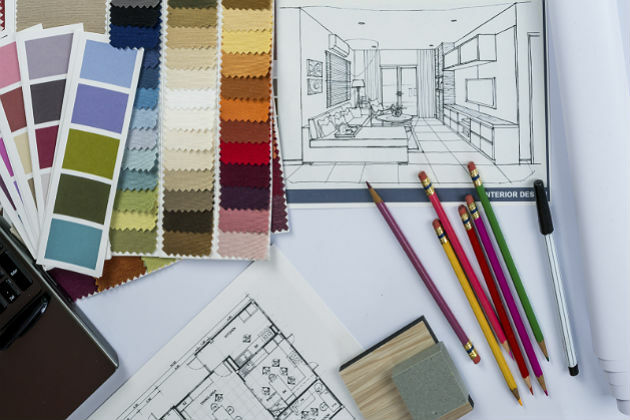 When asked in July how they thought their business would perform during the second half of the year, around three-fourths of ASID designers expected activity would increase. About 4 in 10 (42 percent) anticipated a growth in sales of between 5 and 10 percent between July and December. And nearly a fourth (23 percent) expected sales to grow by 25 percent or more. Given a somewhat slower than usual spring season, most designers likely will see modest annual growth this year, compared to that of the previous two years. At present, industry forecasts indicate that trend will continue into 2019 before easing off in 2020.